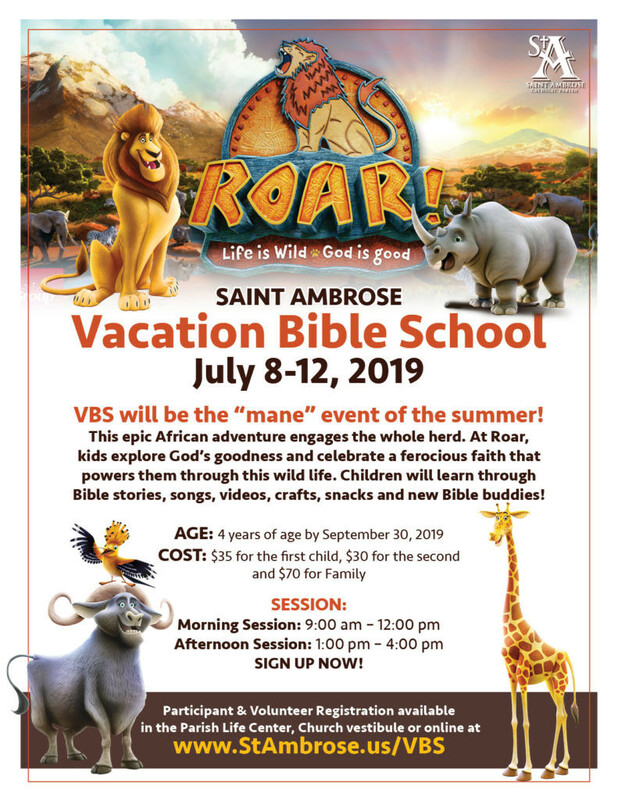 VBS will be the “mane” event of the summer! This epic African adventure engages the whole herd. At Roar, kids explore God’s goodness and celebrate a ferocious faith that powers them through this wild life. Children will learn through Bible stories, songs, videos, crafts, snacks and new Bible buddies! AGE: Must be 4 years old by September 30, 2019. Online forms can be completed on from the left menu. Downloadable forms are below. Printed forms are also available in the Parish Life Center, Church vestibule. Please contact the PSR Office at 330.460.7302.